Good morning! I miss making the “ways to wear” posts. 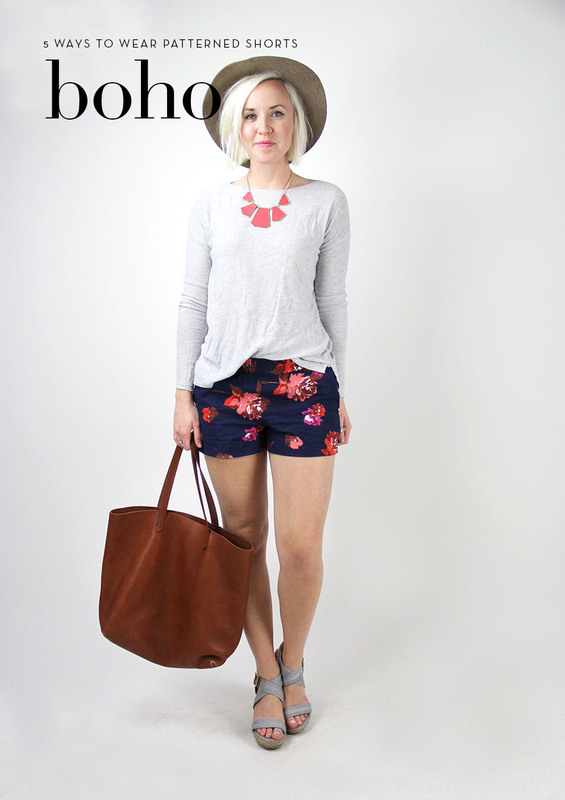 Today I’m showing you 5 ways to these shorts for; casual, street, boho, school or meeting. Here goes! Look 1: I went for a light mint button up. I picked this color because it cools down my skin tone. I paired with a cognac bag and flats. I went simple sans jewelry or accessories. 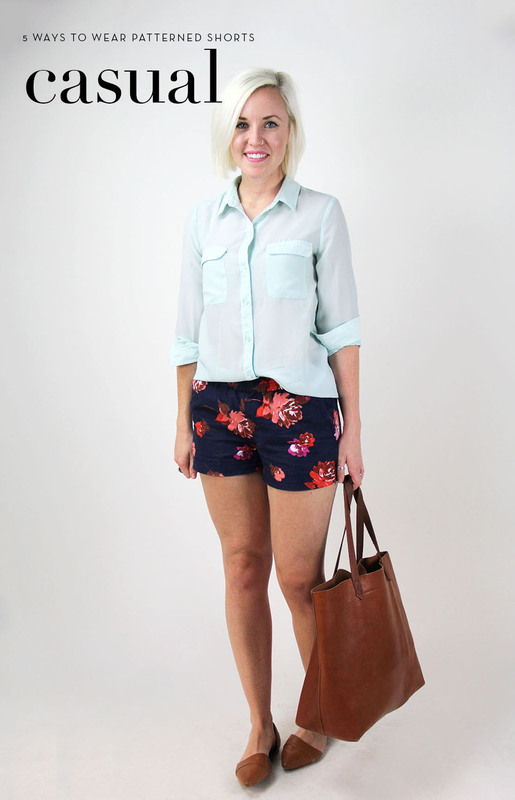 Look 2: For the street look I was thinking a weekend with friends out at the boardwalk or BBQ. You’re going to need sneakers for walking around all day. Look 3: for the boho crowd, I threw on a wide brimmed hat, strappy wedges and a geometric necklace to make it feel put together. Look 4: for those in school, I chose a flat for a covered toe (is that still school policy?!) along with a bold striped top so your friends can easily find you at lunch. 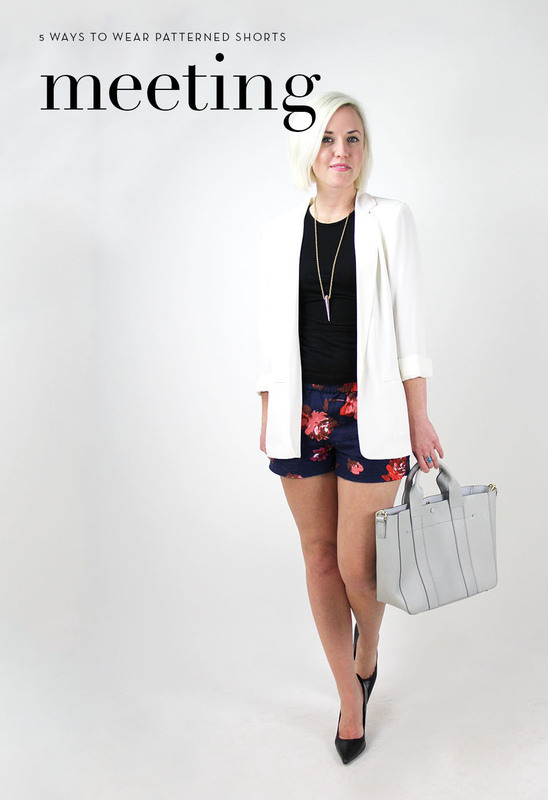 Look 5: if you have a lunch meeting out on the patio you can throw on the blazer for the early morning. I picked a black tank for sophistication and paired it with a long necklace for a slimming effect. Hope you enjoyed these looks. Let me know which was your favorite in the comments below! love all of these! those shorts are awesome. where’s that light purple bag from!? i’ve been looking for a pastel crossbody for this season! The shorts are amazing! I love the look with the heels!! Love these shorts! Need to get a pair! Cute, cute cute. Always looking for more ideas on styling shorts. Love the office look.